Many times I heard about the existence of this “Espacio Abierto” (Open Forum) however, from the beginning I decided to enclose it in quotes; in Cuba, there is nothing so inclusive! Used to the constitutionally legal and obligatory silence, lack of spirituality and double standards, it was impossible for me to believe in a respectful dialogue among the diversity, and much less if it was about Cuban dissidents; those who, according to the official press, do everything for money. With Fidel everything and without Fidel nothing! Or at least so I thought. Being a member of the Somos+ movement, has definitely been a real transition in my life, it has been like being reborn in a different Cuba, where everything is possible as long as courage and desire walk together. Last July 16, I had the honor of representing Somos+ in a forum called Espacio Abierto de la Sociedad Civil Cubana (Open Forum for the Cuban Civil Society) and to my surprise, the quotes were not necessary. 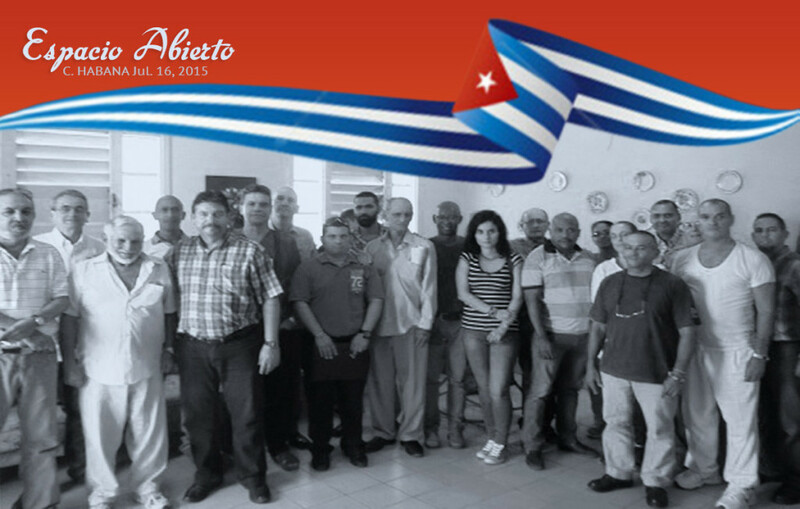 Organized at the headquarters of 14ymedio and the representatives of a large majority of independent political, social and cultural organizations, this meeting was held with the healthiest and friendliest of the intentions, a better Cuba. With Miriam Zelaya as moderator and a down to earth agenda, the meeting took place with interventions from people who could easily be classified as experts: Dagoberto Valdes, Director of the magazine Convivencia, Joseph Conrad, a Catholic priest, the young Saul R. Quiala, from the Social Democratic Party of Cuba and the journalist Reinaldo Escobar, among many others. To call for a National Dialogue where all Cubans can participate. To request by official letter to His Holiness, Pope Francis, an agreement to receive one by one, every representation of the Cuban Civil Society on his next visit to the island, and act as guarantor in the calling for the National Dialogue. To speak out with an official statement of Espacio Abierto de la Sociedad Civil Cubana, against the repression of the independent civil society. At this meeting, where is not forbidden to think differently, and unanimity is almost impossible, I learned that a democratic alternative is what we all want and respect and good listening are the main ingredients to achieve it.